Why do Lace Lab's premium 3M Rope Laces look so good with Ultra Boosts? That’s a good question. With 2016 gearing up to be the year of the Ultra Boost, it’s important to look back on how far sneakers have come with knit technology, something considered cutting-edge and rare just a few years back. Adidas first unveiled the Primeknit in 2012 in conjunction the London Olympics. Essentially, this was new technology at the time, so what better place to show off than the world stage. When you add athlete endorsement with Olympic-sized hype, you have the perfect organic marketing strategy. The Olympics have famously been the outlet that groundbreaking athletic apparel and footwear are first “debuted” before the technology behind these products are used for mainstream consumption. Nike’s Flyknit Trainer+ debuted earlier that year, so Adidas was hot on their trail. While Nike was the first to drop the knit sneaker, Adidas was made it clear that they were coming for the throne. What’s funny is that 4 years later, both companies are seen on relatively-even footing in US markets as both sportswear and functional streetwear sneaker companies. In Adidas case, this is largely due to their use of the Primeknit technology for the Yeezy Boost 350. Primeknit and Flyknit appear to be the same technology, more or less. To break it down, neither of technologies are actually "knit" per say, but instead a single fused piece of yarn to create a knit appearance. While Nike came out strong with the vibrant Flyknit colorways, Adidas has claimed a stake on neutrals and shades of black and white seen on everything from their Ultra Boost to Yeezys to soccer (football) cleats (boots). You might recall there was a legal battle between the two footwear giants about the technology, ultimately both companies have evolved in their own right. 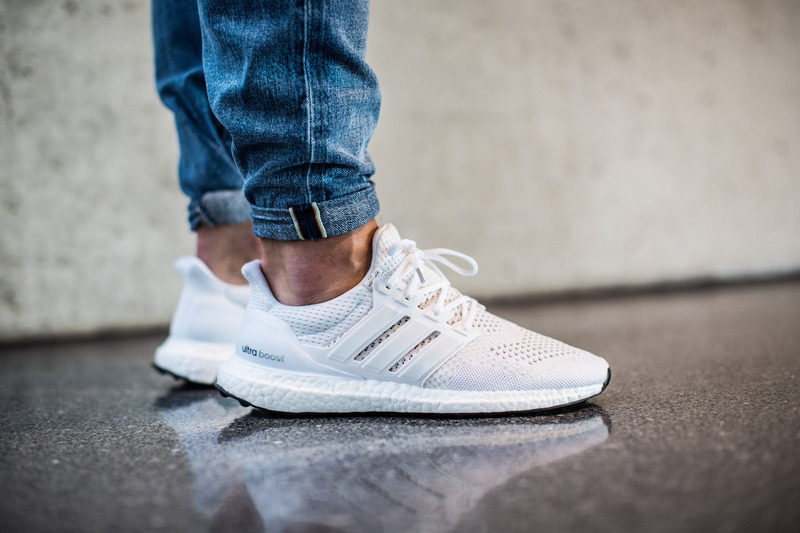 Last year, Adidas released highly coveted Ultra Boost as a running sneaker. While these are literally made for running, with the Primeknit technology used for functionality, everyone’s favorite rapper was spotted with a pair. Since being Kanye approved, the Ultra Boost has since moved into the high end streetwear realm as a second-string Yeezy Boost. If you’ve been on the #swapornot thread lately, you’ve probably seen quite a few pairs of UItra Boosts with our 3M rope laces traded in for the original out-of-the-box shoelaces. 3M Rope Laces have 3M reflective material weaved throughout, so they have a similar aesthetic to the knit technology used on Ultra Boosts. Any type of clothing, or shoelaces in this case, made with 3M material is always going to have some element of grey coloring to them. Looking at Adidas’ recent aesthetic with their Ultra Boosts, Tubulars, and Yeezy’s, 3M goes perfectly with Primeknit material. The irony is that just a few years back, leather sneakers were seen as the pinnacle of footwear for the casual sneaker buying crowd.